Hand to Hand empowers and positively transforms individuals and communities to create a peaceful and just society through martial arts and self defense. 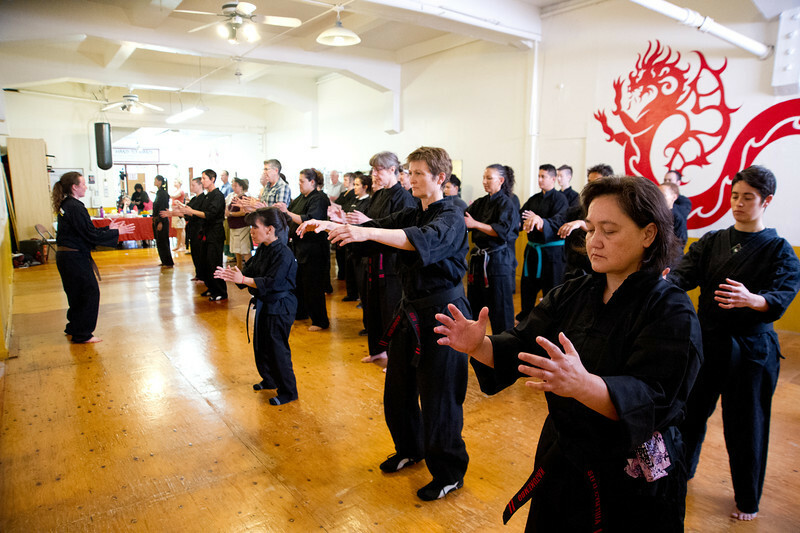 Hand to Hand provides traditional martial arts training and self-defense classes. The center was founded in 1980 by Professor Coleen Gragen and remains under the leadership of Chief Instructor Sonya Richardson. We teach adults of all genders and are affiliated with the Kajukenbo Association of America.The Martial Arts Program provides training in the eclectic art of Kajukenbo. Students of this art develop excellent body conditioning, power, balance, and fluidity of movement. Training at Hand to Hand includes the study of basic techniques, traditional forms, fighting strategy, practical self defense, and weapons practice.The rigorous training is conducted in a supportive environment, where personal integration of the physical, spiritual, and mental aspects of the art is emphasized. Ancient and modern training methods are combined towards reaching the goals of integration of mind, body, and spirit and practical self-defense preparation. The next Martial Arts Beginners Series starts on Tuesday, April 9, 2019 and runs for four weeks. Interested in martial arts or in exploring a new martial art? 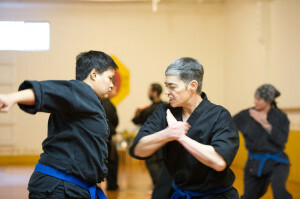 Come try out our beginners classes in the eclectic art of Kajukenbo. This class is appropriate for those who have never trained in a martial art before or do not have rank in Kajukenbo. We offer our Beginners Series four times per year. In 2018, the classes will begin on January 15, April 9, July 2, and October 22. The next Self-Defense Series starts on Monday May 6th and runs for six weeks. Learn to assess potentially unsafe situations in order to interrupt harassment, intimidation and violence. Gain practical self-defense strategies through verbal, physical and emotional exercises in a safe and supportive environment. No prior experience necessary. 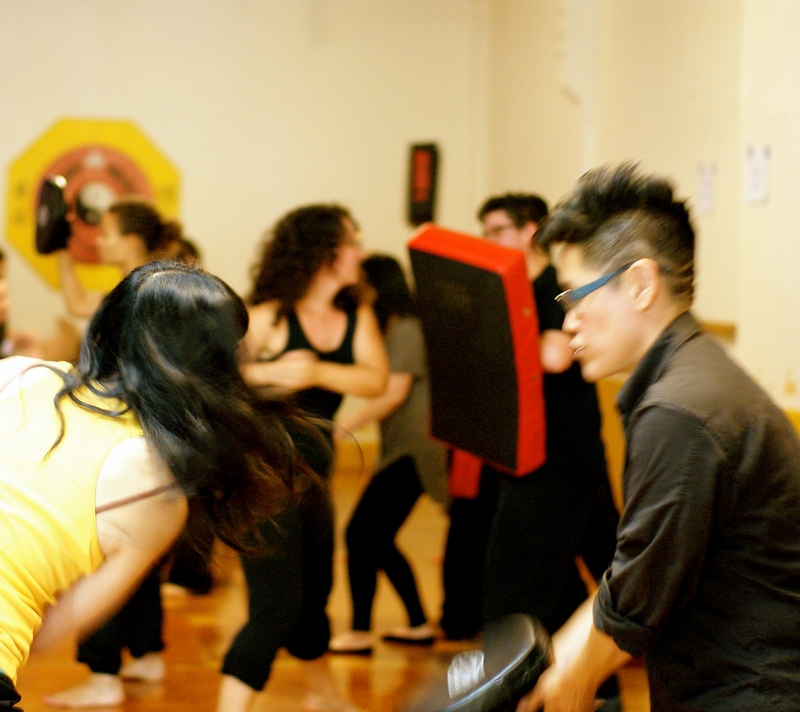 We offer our Self Defense Series three times per year. Subsequent series will start on September 6, 2019.